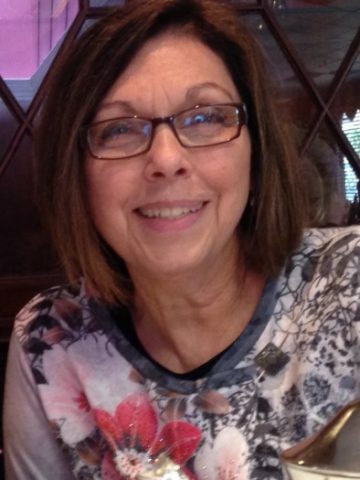 Freida Ruth Gray of Goodlettsville, TN entered her eternal home on May 22, 2018 surrounded by her family; she was 67. Freida was retired from Regions Bank as Vice President and Area Branch Operations Manager. She was a member of First Baptist Church of Hendersonville. Freida was a volunteer at Skyline Medical Center, USO at the Nashville International Airport and Citizen Patrol for the city of Goodlettsville. Her amazing smile and a laughter could melt the hearts of those around her and her determination was contagious. Freida absolutely loved her grandchildren & great granddaughter. She was blessed with a large family. If anyone needed any help she was there for family or friends alike. Freida had many Aunts, Uncles and Cousins who cared for her throughout the years. Nell Clay, Joyce Donlon and Alma Smith, will forever be her momma angels. Freida is survived by her mother, Martha Gammon Bohannon Gray of Goodlettsville, TN. Brothers Don (Cindy) Gray of Barstow, CA and William (Brenda) Bohannon of Portland, TN. Sister Connie (Tom) Paulson of Katy, TX. Son William “Troy” Dixon of San Francisco, CA. and Daughter Jill (Terry) Cox of Hurricane, WV. Brian (Jenny) Arant of Pueblo, CO. Grandchildren Olivia (Teddy) Hensley, Madelyn Cox, Emma Cox, Seth Cox, Daniel Cox & Dillon Arant. Great Granddaughter Elizabeth Ruth Hensley. She was proceeded in death by her parents, William T. Gray and Lucille Moore Gray of Goodlettsville, TN and Brother William Thomas “Tommy” Gray II of Goodlettsville, TN. Freida you leave a hole in my heart. You were always loving and sweet. You were my greatest prayer warrior. I will miss your smile and sweet spirit. Our loss is heavens gain. I’ll see you again sweet friend and oh what a celebration that will be. Jill and Family…what a beautiful tribute to see how each of you have demonstrated such tender loving-kindness towards Freida. So inspirational to observe burdens lifted from her with ease during this last part of her journey so that the road might be lightened. We will miss her laughter ~ unforgettable…her smile…gentle, and her eyes like pools of cool clean water twinkling ever so gently. Looking forward to seeing Freida again every day throughout eternity. Praying all will experience that same Peace she carried with her through Jesus whom she is now seeing face to face. Frieda always made me smile with her warmth and sunshine! She was a very special lady.